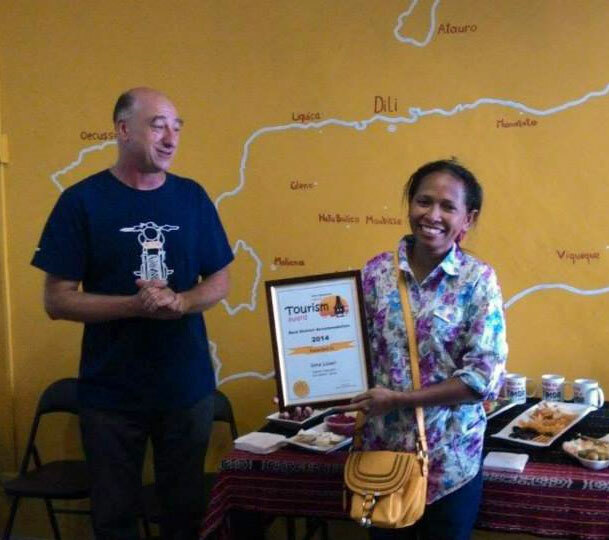 Tourism is new in Timor-Leste and this is great because the tourists that do come get to see things that have long disappeared in other countries that are far more developed. It also means that there are fewer tourists around and you get to experience special places by yourself or with just a hand full of other tourists. But it also means that tourism infrastructure is very much at the beginning of development. There are fewer guest houses and some of them are basic. There are few guides and most of them are new. We decided that we wanted to do something to encourage and acknowledge people around the country who are working hard to improve tourism infrastructure. 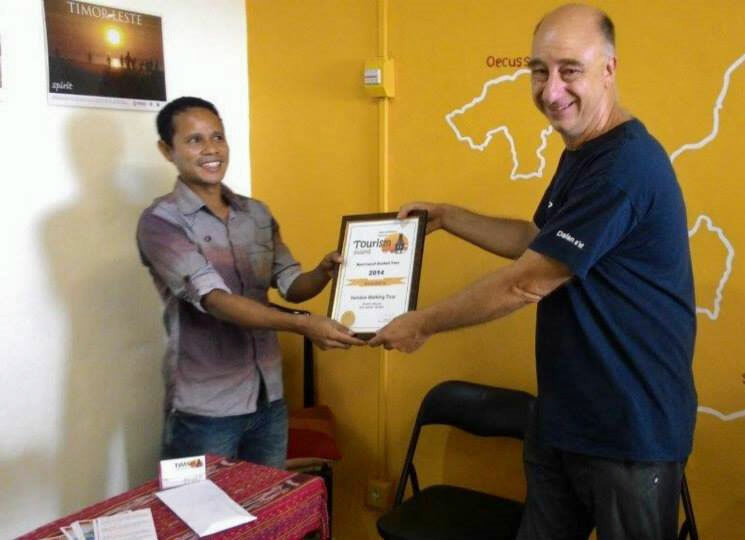 People who have invested their time, money, ideas and energy in creating better places to stay, new activities and have demonstrated a commitment to helping tourists get the best out of their time in Timor-Leste. That is why we created these national tourism awards. ….and the winners for 2014 are.. 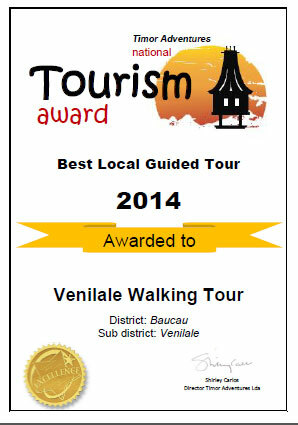 The Venilale walking tour was our other award this year. Venilale is a beautiful town in the mountains that are East of Dili in Baucau district. There is nothing to this walking tour, just a stroll through the main street, and yet it is fascinating. You get to find out about the history, the buildings, the outlying areas and the way of life for local people. This is simple and wonderful. We talked about this idea for a couple of years and now we have done it…and it feels pretty good. So we are on the lookout for potential award winners for 2015. So what are we looking for? that all add up to a better experience for the people who make the big leap and come to Timor Leste for an adventure.